The countdown to Term 1 is on! With the first day of term being 9 OCTOBER that’s only 4 weeks away! Have you enrolled in the new swim season yet? There are still class spots available but you may have to hustle as popular times are almost gone!! The best way to fast track your child’s swimming progress is to attend 2 or more lessons a week over a term. With multiple lessons per week you will notice your child improve in leaps and bounds. Swimming is such an essential skill for all ages in life, and especially if your child is starting primary school next year! Please feel free to contact us if you would like to know more about how multiple lessons a week can be beneficial. For those eager to get swimming straight away, our School Holiday intensives start NEXT WEEK!! 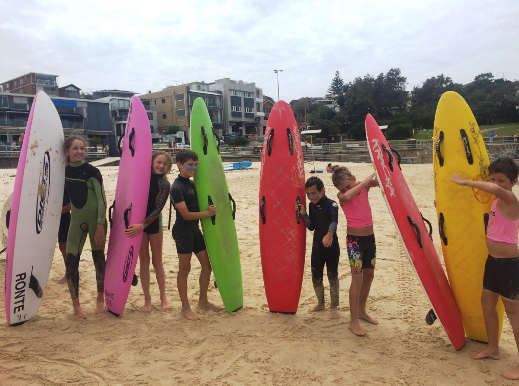 We have 2 weeks of swim intensives over these school holidays, and don’t forget our awesome Nipper Camps! Brush up on those ocean skills while having the best time. Make the after lesson routine easier! - Reward incentives are a great way to help motivate kids and help lessons run swimmingly (pardon the pun). Perhaps a yummy snack after an awesome swimming lesson or a hot choccy! One of our awesome parents created a star chart for each of their children. After every lesson that produced ‘great listening’ and the ‘best swimming’ or ‘best trying’ from either child, they would get a gold star on their chart. Once they got enough gold stars in a row they would get a reward! If you have any great ideas on motivating your kids, we would love to hear them! Please shoot us an email here or feel free to share them on our Facebook page or even our Instagram.